Robert and Jaymi really knew there stuff. Both were very helpful and open to any questions I had about the training. It was a VERY well thought-out program! I think the class size was just right; it makes it very personable. It is a lot of training and information and best of all the environment was very relaxing. Robert and Jaymi made the whole training a lot of fun and at the same time keeping on track. 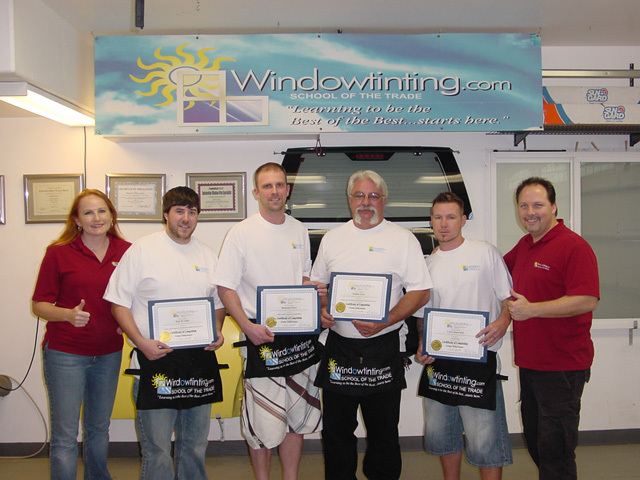 After being around the tinting business for years, Robert is one of the best hands-on tinters I have every seen…he really knows this business from ALL sides! Robert and Jaymi are a class act! They both know everything there is to know about tinting! Simply put…THEY ROCK!! !